Cancer link found in Johnson & Johnson product! A Missouri state jury on Monday ordered the company to pay $72 million in damages to the family of a woman who died from ovarian cancer — the family's lawyers say the death was linked to the woman's use of the company's talc-based products including baby powder and Shower to Shower. The company was found liable for fraud, negligence, and conspiracy in a civil suit, Reuters reports. Johnson & Johnson "knew as far back as the 1980s of the risk" but resorted to "lying to the public, lying to the regulatory agencies, " Jere Beasley, a lawyer for the woman's family, told reporters, according to Reuters. Many studies in women have looked at the possible link between talcum powder and cancer of the ovary. Findings have been mixed, with some studies reporting a slightly increased risk and some reporting no increase. Many case-control studies have found a small increase in risk. But these types of studies can be biased because they often rely on a person's memory of talc use many years earlier. Two prospective cohort studies, which would not have the same type of potential bias, have not found an increased risk. Still, some people are freaking out about their own use of Johnson & Johnson's baby powder. "Johnson and Johnson is a company I trusted for years with several products I used on my daughter. Before I 'knew better,'" consumer Michelle Gillard wrote on Facebook. Amy L. O'Grady wrote: "This makes me sick when I read things like this! Such a 'well respected' huge company that should know better! This country doesn't care about its consumers." Justin Trevail commented, "Just when you thought you can trust a company, it turns out you can't." Many consumers are urging people to stop using Johnson & Johnson products, and some are sharing information about cosmetics companies such as Arbonne that say their products are free of chemicals or other potentially harmful substances. 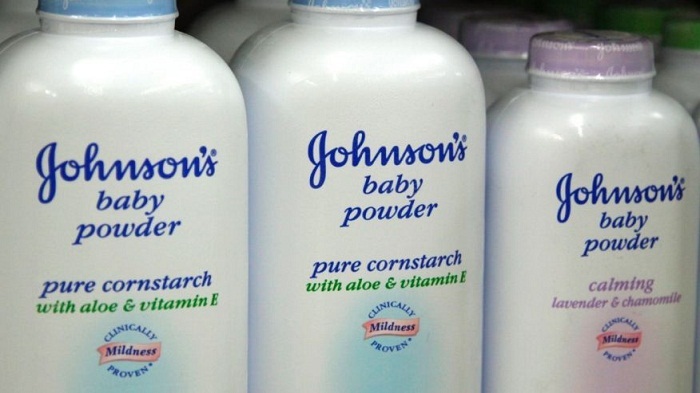 The plaintiff in the Missouri case, Jacqueline Fox, said she used Johnson & Johnson's baby powder and Shower to Shower — another powder product made by the company — for more than 35 years. She learned she had ovarian cancer three years ago, and she died last year at 62. A Johnson & Johnson spokeswoman told Reuters: "We have no higher responsibility than the health and safety of consumers, and we are disappointed with the outcome of the trial. We sympathize with the plaintiff's family but firmly believe the safety of cosmetic talc is supported by decades of scientific evidence."